Corrugated plastic signs are probably the most versatile of all. They are rugged enough to last for years, in the worst of environments, and affordable enough for even the most frugal of charities. You will see corrugated plastic signs in every size from realty sign riders to almost billboard style signs. We've used them in repurposing old back lit business signs and as Bandit Signs or Road Side signs. These dirt cheap signs are ideal for contractors. Job Site signs can change location with you or as cities mow their ditches. They are even affordable enough to leave at a site until a client chooses to throw them away. Your Yard signs tell the neighbors just who did the beautiful remodeling down the street. Corrugated signs make great campaign signs because they are heavy-duty enough to withstand the worst weather and affordable enough to ship almost anywhere. The main job of a political campaign sign is to build name recognition. In most races, people tend to vote either straight party or for the name they best recognize. Nothing builds name recognition faster or more cost effectively than a lawn sign! Nothing helps build esprit de corp among the party faithful than their political sign. Real Estate signs have been corrugated plastic for decades. Realtor signs are also used as FSBO signs. 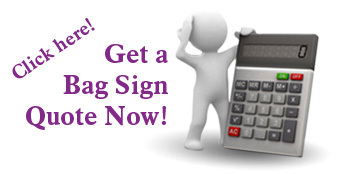 Have you ever sold or purchased a house without a yard sign? When you see a Realty sign you don't even have to read it. Cheap yard signs tell you, "This house is for sale!" There is no more affordable way to add a Sold rider to a real estate sign than with corrugated plastic and they are rugged enough that they last the career of an agent. Yard signs have been declared free speech by The Supreme Court. They're green too! Corrugated plastic is recyclable. It is often made from recycled material. Your custom yard sign will come apart due to weather, so it won't become litter. Recycled, your custom sign might be repurposed as insulation, packaging material, or even more corrugated plastic. Corrugated plastic signs are legally recognized free speech, which is affordable, durable, effective, and green! Fill out the Quote form or give us a call (877-722-4748) to realize why our dealers can't stop coming back to us for their Corrugated Plastic Sign needs!